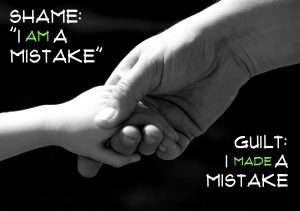 It can be profoundly difficult to process guilt/shame/regret/humiliation/shame with another. It can also be profoundly freeing. Brené Brown is a storyteller/researcher who has done extensive work on shame, vulnerability and authenticity. She emphasizes the value of connection...the antidote to shame. Our philosophy is that people are hardwired for connection but those connections hurt, and we hide from the very relationships we so desire. Conexus Counselling is pleased to offer The Daring Way ™, a highly experiential methodology based on the research of Dr. Brené Brown. The method was developed to help men, women, and adolescents learn how to show up, be seen, and live braver lives. The primary focus is on developing shame resilience skills and developing a courage practice that transforms the way we live, love, parent, and lead. Carolyn blogs regularly about her own interaction with shame resilience.Ultimately, most people want to make choices that have them live well, a life where accomplishment has meaning, and success is defined by meaningful relationships. Life is too short to live with profound guilt, shame, or regret. Guilt and shame, while very different, can feel similar, and it can be vital to tease a distinction between the two. We feel guilty for what we do. We feel shame for what we are. It can take a lifetime of exploration and mindfulness to live out of this awareness. Conexus Counselling loves to help people work effectively with guilt to align their behaviour with their values, and to recognize the universal pull of shame while not allowing it to hijack your life.